We are so excited about the amazing speakers and sponsors we have lined up for The Fat Activism Conference that we can’t possibly wait until September to tell you all about them. So, we’re going to give you a preview of the conference we have in store by bringing you interviews from a few of them every week, including media like this week’s interview on the radio show Phat Tuezdays. Remember that this is a virtual conference (held September 23-25) and so you can listen in by phone and computer from wherever you are, and you’ll also receive recordings and transcripts of each talk so that you can listen/read on your own schedule. I will be taking about what it means to stand in your power and not allow others to determine your value. 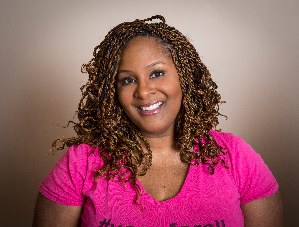 I am on a quest to help people befriend their bodies. Can you provide us with a link where people can learn more about you or connect with you? What I like most about fat activism is the part where it means fat people being in community. Fat people benefit from being in community because we can support each other when we encounter prejudice and hatred. –Fat people of all sizes deserve as much respect and access as other people. –Fat people deserve to love and believe in ourselves. –Fat people of every shape, size, race, gender expression, age, and ability are attractive and worthy. We benefit from being in community because when we raise our voices together to demand respect and access, we are stronger and we will be heard. We need fat activism because fat people are discriminated against in every walk of life. Fat activism stands up and says that’s wrong and it has to change. For example we find it harder to get jobs, access health care, travel, and find affordable clothing. We can’t go out in public without risk of being harassed for how we look. People incorrectly believe they know our health status just by looking at us. People judge us for being unhealthy but mock us when we do things that might benefit our health, such as exercising. Fat people are rarely shown in a positive light in the media. The body hatred that society instills in all women hits fat women especially hard. the world. Fat activism and community can remind us that we belong and deserve respect and access. Anything else you (briefly) want folks to know? Intersectionality ho! 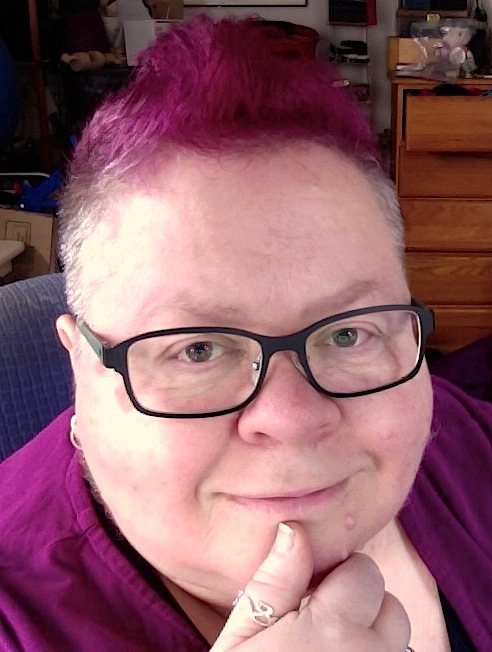 I’m superfat, queer, nonbinary, and disabled. Fat Activism means changing the social attitudes and perceptions society has toward fat people. It means busting myths about the capabilities of plus size bodies and challenging the idea of what health and strength looks like. Because of diet culture and unattainable body standards being fat is one of the worst things you can be in this world. We are brainwashed, men and women, to believe that a person’s worth is measured by their weight and because of this, fat people are bullied, abused, and many suffer from depression. Fat Activisim is important because the bullying and shaming is getting worse. People can’t even work out without the fear of someone filming them and posting it on social media. We need to change the perception that somehow fat people aren’t people. That being fat means you deserve ridicule and abuse. Fat Activisim sheds light on the impact diet culture and fat shaming has, not just on fat people, but on all people, because when dehumanizing someone for any reason becomes a normal practice, nobody will be safe. Can you give us a hint of what we’ll hear from you at the conference? For some reason people think that when a fat person is active, the end goal is to be skinny. The big lie perpetuated by diet culture is that inside every fat person is a skinny person just waiting to get out and live the life they were meant to live…the life that their current fat body isn’t capable of living. It’s time we exposed this lie and change the perception of what health looks like. 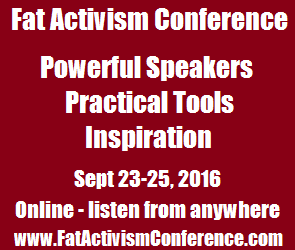 This is our third Fat Activism Conference, and it’s the third time that Jay Solomon and More of Me to Love have sponsored us. We recently interviewed Jay about Fat Activism. Fat Activism is any action that defies culturally acceptable norms, stereotypes and requirements imposed on fat people’s bodies. 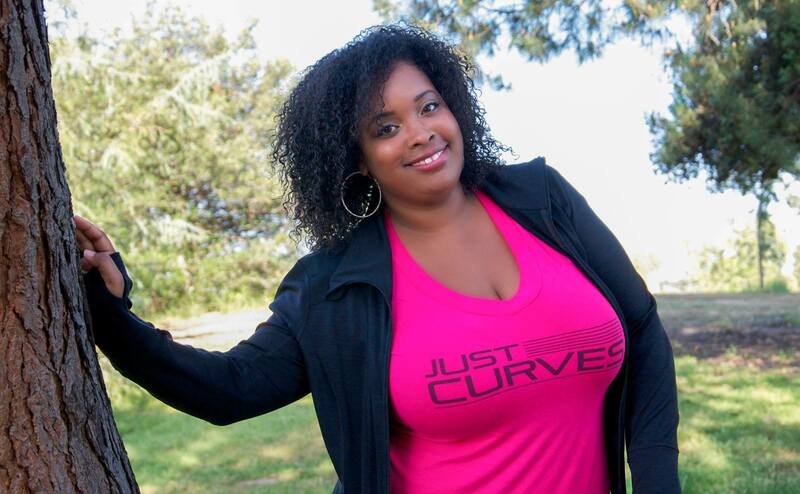 Fat Activism is going on national television and saying “Fat is beautiful,” just as Fat Activism is wearing a sleeveless shirt that shows the skin of your fat body. Fat Activism is not apologizing for taking up space, just as Fat Activism is loving – or even just trying to love – the body you have for all of its girth, jiggle, curves and more. Fat Activism is working, whether in public or private spaces to embrace one’s body and help other people do the same. What Fat Activism means to us at More of Me to Love is that we’re allowed to do things for the bodies we have today. It reminds us that it’s okay to buy the pants that fit, not ones we aspire to fit in. It tells us that exercising and prioritizing health are a choice that we get to make, and should we, we’re entitled to do so without shaming and an emphasis on weight loss or changing our bodies. Fat bodies – and therefore fat people – are stigmatized and demonized in our culture and many others. They are made to feel less worthy and associated with numerous stereotypes and judgments. Fat children are bullied and fat adults are charged more for everything from airline seats to health care. Fat Activism is the effort to start righting these wrongs, to start changing the narrative and to start embracing the bodies that bring us through the world, whatever their size. Fat Activism means that spaces will become safer for everyone. Conference co-founder Jeanette DePatie, and Organizing Team member Joy Cox were recently interviewed on the radio program Phat Tuezdays, hosted by Tracey Crosson.